Iran, meanwhile, is beefing up its online presence–specifically the presence of the police. As announced yesterday–the same day the Holocaust Farsi page was announced–Iran has launched a cybercrime police unit meant to monitor the use of social networks for riots and protests organizing. (Iran’s not the only one putting cops online–China also established its first cybercrime police unit earlier this month.) This news also comes amidst the political upheaval that Tunisia is now facing, about which many have said that social media–especially Twitter and Facebook–have played a critical role in escalating. 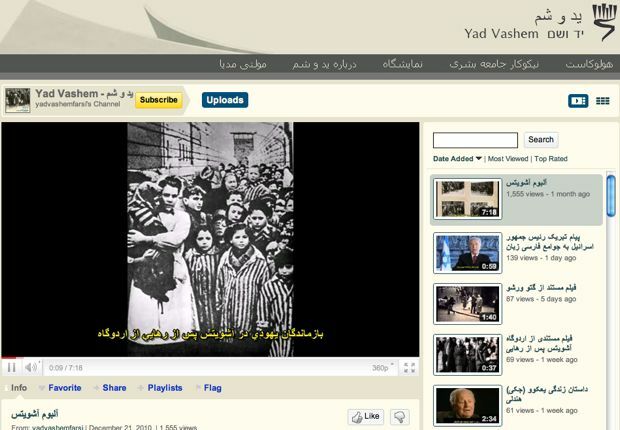 The question remaining, however, is how successful all of the above efforts will be–information about the Holocaust may now be available online in Farsi, but a move to block the page could come any day. Likewise, Iran’s efforts to monitor protests online may prove successful in some ways, but to actually stop the protests would seem another challenge entirely.